It's MAC Monday! 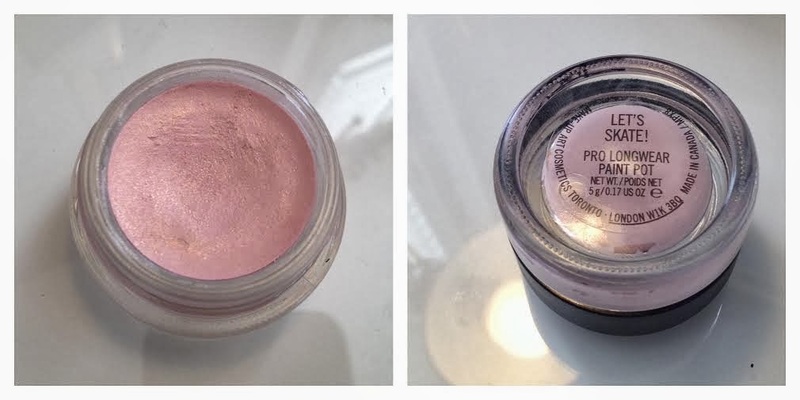 For this cold January day I have chosen a wintery offering from MAC - the Let's Skate Pro Longwear Paint Pot. The MAC Paint Pots are creamy eyeshadows that apply as a cream but dry to a shadow. You can apply them with a finger but also blend them with other shadows using a brush. Let's Skate is a perfect icy shade of a pale pink with a gold shimmer running through it. I bought this last winter and it was the first Paint Pot that I ever bought. Originally I was going to get one of the neutral shades such as Bare Study or Painterly - which are popular to use as an eyeshadow base. But as soon as I saw Let's Skate it was just too pretty to resist! Originally part of the Glitter and Ice winter limited edition collection, it is now part of the permanent line. 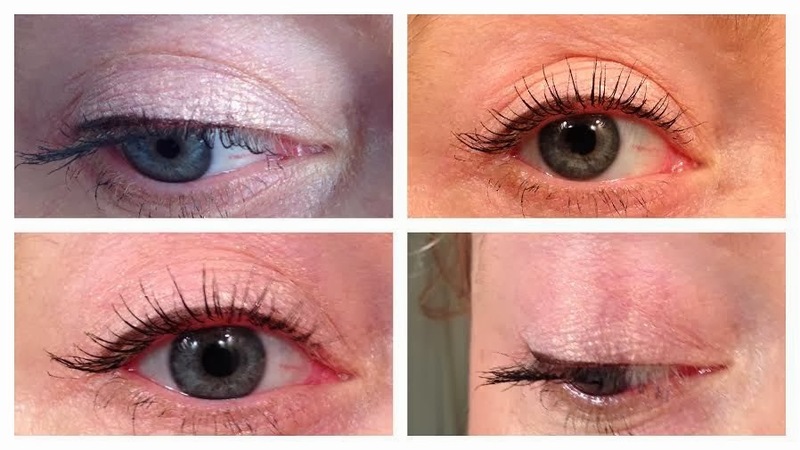 It swatches as a pale colour but on the eye it is a really beautiful shadow. It really comes to life when it catches the light - just take a look under some halogen lights to see what I mean! You can wear Let's Skate alone or under a different shadow to add some sparkle. But when you apply it - work fast! I found that this tends to dry and set quite quickly. So if you want to blend it then you have to do it quickly. I was a bit worried that the paint pot would crease and crepe on the eye although I was assured that it wouldn't. However, I do find it more prone to that than the Maybelline Color Tattoo 24hr cream shadows that I have, but I think its because it is a slightly drier formula. I always make sure I put on some Urban Decay Primer Potion to minimise this. The wear time is excellent and it lasts all day plus there is no fall out from the glitter either. I've owned Let's Skate for a year now and it is still going strong. Given it is a cream formula I store mine upside down as I heard this is the best way to stop it drying out. Let's skate looks great on its own with a slick of gel eyeliner and mascara. For a more dramatic look you can use MAC Satin Taupe eyeshadow in the crease as the purple tones complement the pink tones of Let's Skate really well. 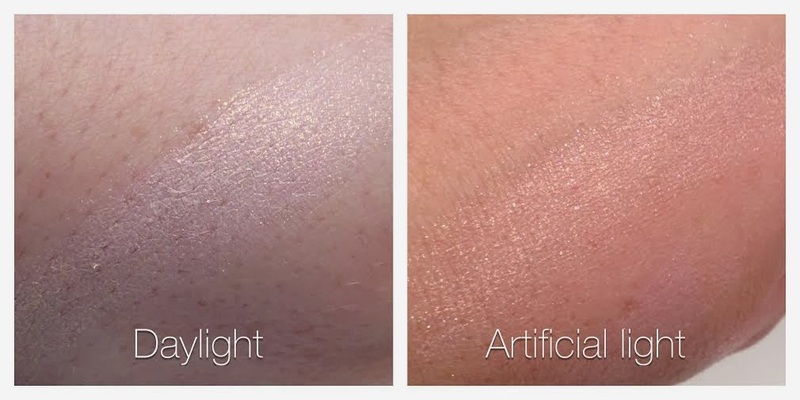 The MAC Pro Longwear Paint Pot in Let's Skate (and other shades) is £15 HERE. 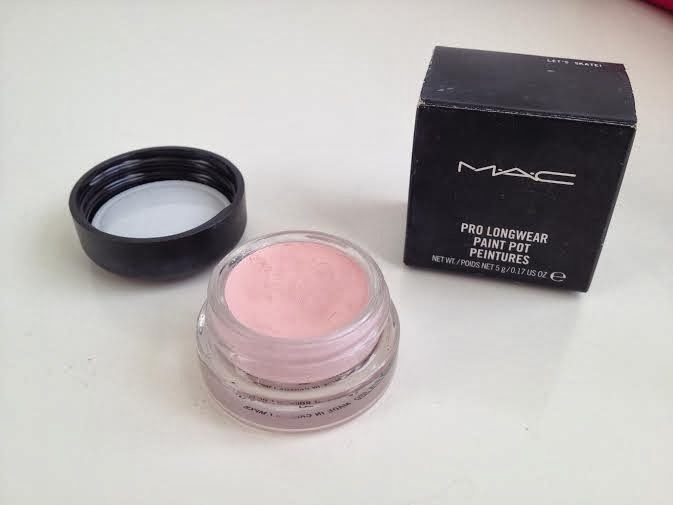 Have you tried Let's Skate or any of the other MAC Paint Pots? Can you recommend any other shades? That is such a pretty colour!! I can see it being great for a base colour, love the post. It is gorgeous and the pictures don't show the shimmer in its full beauty. I must use it as a base more often!